I received promotional items in exchange for this post. All view and opinions here reflect those of my own. Sponsor is responsible for prize fulfillment. This is my man and me. We celebrated 14 years together as husband and wife this past October. The picture above was taken at some point before we had kids. To be honest, my memory is horrible. I'm not one of those women who keep track of every milestone in our relationship, I forget dates even the "important" ones. Most of the time, I don't feel like there was a time before "us." When I met my husband for the first time it felt like I had always known him, being around him felt easy and safe. I could say what I was really thinking and even if it was stupid I knew he got me. Love is a funny thing. There are many match-making sites that put people together based on lists of commonalities, but we're so different! I don't think any of those sites would have ever put us together. He liked progressive rock, I didn't know what that was. He listens to the instrumentation, while I hear the lyrics, but we love going to concerts together. With his crazy work schedule we rarely go out on dates, so we typically rock out Valentine's day at home with the kids. 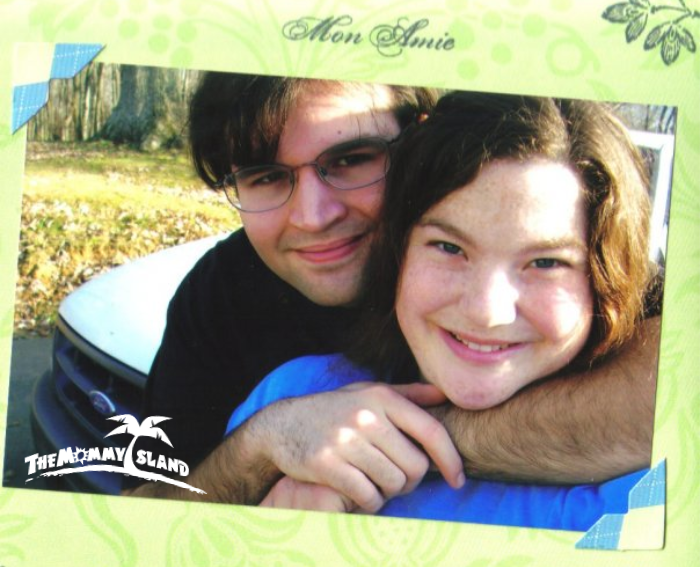 Below is a list of fun ideas for having a great 14th with your special one - plus a giveaway! 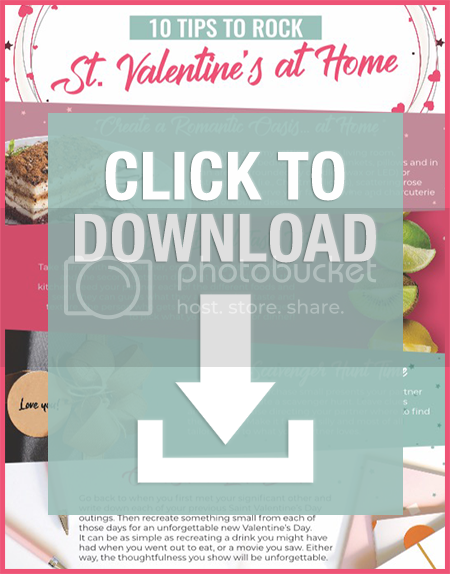 In the spirit of the season, here is a list of the “10 Tips To Rock St. Valentine's At home” downloadable PDF. It contains simple things you can do at home to show appreciation to the one you love without having to spend every penny in your savings account! It also includes some cool facts about the “whys” and history behind some of the most time-honored Saint Valentine’s Day traditions! You have questions about the Catholic faith and what it means to be Catholic. They have answers. Using a team of witty writers, appealing hosts, and even some learned theologians, they’ve created shareable, snackable videos that teach the timeless truths and deep history of the Church with humor and heart. Produced in the Family Theater Productions studios on Sunset Boulevard in Hollywood, CATHOLIC CENTRAL entertains, enlightens and inspires. 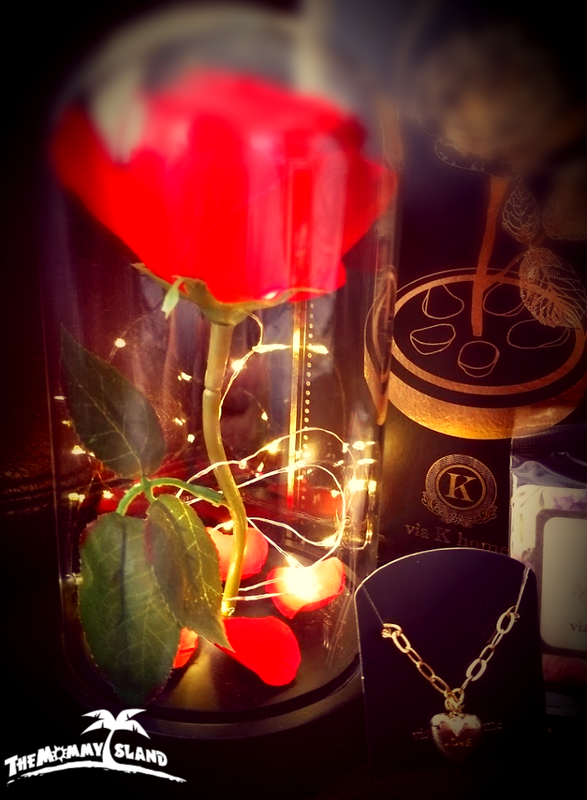 One lucky entrant selected by the entry form will receive the St. Valentine's Prize Package from Catholic Central! (ARV $25) Open to entrants in the US, 18 years and older. Open for entry from 2/9-2/21/19 at 11:59 pm EST. The prize will be sent via FedEx or USPS. No P.O. Boxes. If you or a member of your household have already won this prize on a blog giveaway you are ineligible to win again. Sponsor is responsible for verification and prize fulfillment. (1) Red Rose LED Glass Dome elegant table lamp.